Check out our list of great reasons to consider a Maryland move. 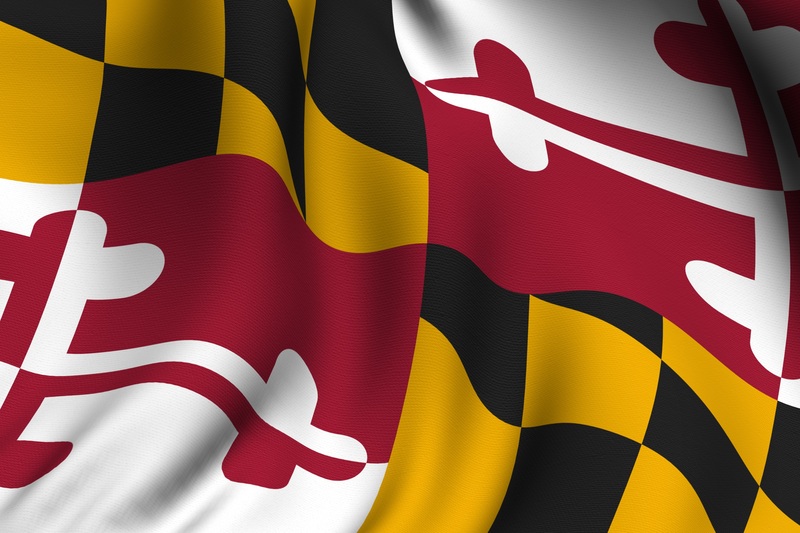 Rendering of a waving flag of the US state of Maryland with accurate colors and design and a fabric texture. Maryland ranked 3rd best state by U.S. News and World Report when measuring economic opportunity, affordability and equality for all citizens and top in the nation for median household income – making it a great place to call home. Check out our list of great reasons to consider a Maryland move. Maryland business benefits from its convenient location to the nation’s capital. The state is home to over 9,000 top defense and aerospace contractors, more than 20 military facilities, and some 60 federal agencies, including the Social Security Administration and Centers for Medicare and Medicaid Services. Global business partnerships thrive here, with access to 176 Foreign embassies and key U.S. and International leaders. Plus, the Port of Baltimore is one of the nation’s busiest international deep-water seaports – named by the Journal of Commerce as the most efficient port in the U.S. for container handling. With 57 colleges and universities and 16 community colleges, education attainment is well above the national average. Its workforce is among the most highly educated and diverse, with one of the highest percentages of professional and technical workers, and a strong concentration of employed doctoral scientists and engineers. Maryland is also home to the prestigious Johns Hopkins University and is a U.S. leader in public school education. Strategically located on the east coast, Maryland is a great launching point for those who frequently travel to major cities like Washington D.C., Boston, New York, Philadelphia, Atlanta, and Chicago. Maryland has easy access to three major international airports, BWI, DCA, and IAD, and Amtrak’s Metro liner commutes up and down the East Coast. Many connected major interstate highways and a network of local transit systems including commuter rail, subway, and bus help rank Maryland’s public transportation usage as #3 in the country. Maryland was also ranked the safest state for teen drivers by CarInsurance.com. Its unique geography gives residents access to a broad range of property choices — from mountain ranges and rural farm districts, to city/suburban walkable communities, to beach resort towns and bay side neighborhoods. Each of Maryland’s 23 counties has its own distinct personality. And since it is one of the original thirteen colonies, the state has a plethora of historic small towns. Its proximity to Washington D.C. also makes it home to four of the most diverse cities in America. The cities of Baltimore and D.C. host an array of international dining options, museums, zoos, historical sites, a national aquarium, and major sporting events including baseball, football, horseracing, and lacrosse. Maryland’s rich history and its diverse communities give rise to dozens of unique fairs and festivals. Its many state parks offer a wide array of outdoor activities, some not found elsewhere, including Assateague Island National Seashore inhabited by wild ponies or the Harriet Tubman Underground Railroad Byway along the waterscapes of the eastern shore. Are you looking to move to Maryland? Check out available properties today! Maryland based Sachs Realty can help you find the perfect location for your home or business.